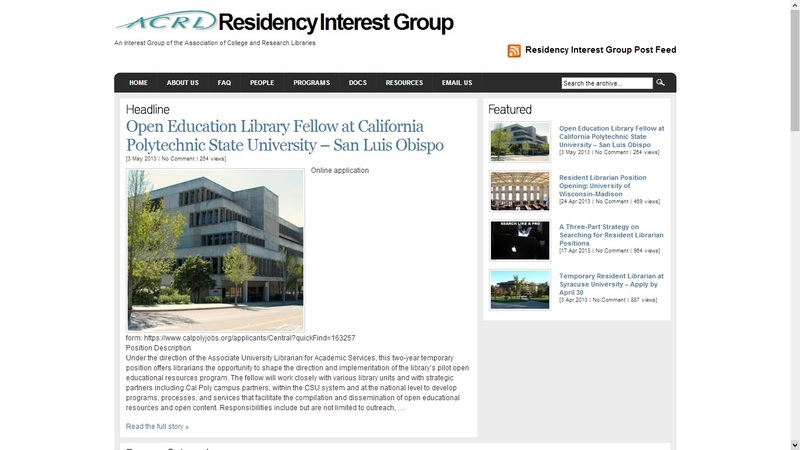 The residency programs for new grads in the U.S. are amazing ways to build experience. I wish there was such a program in Canada. It is always the first job that proves difficult to get if you don’t have the experience and are just out of school. I wish there were more residencies for working librarians. You take a library job because you have to support yourself, but really you want experience in another area, but you’re no longer a recent graduate, so you don’t qualify for most residencies. Or what about someone who worked in libraries, took a few years off, and wants to get some current experience before looking for a job? Residencies would be helpful for those situations, too.